AAA projects that 39.3 million Americans will travel 50 miles or more away from home this Memorial Day weekend.That is one million more travelers than last year taking to the roads, skies, rails and water, creating thehighest Memorial Day travel volume since 2005. The Memorial Day holiday travel period is defined as Thursday, May 25 to Monday, May 29. Memorial Day travelers will total 6.3 million, an increase of 2.4% from the 6.2 million in 2016. 5.7 million will travel by automobile, up 2.2% from 5.6 million in 2016. 344,000 people will fly to their destinations, up 5.5% from 326,000 in 2016. 269,000 people will use other modes (bus, train, boat, etc. ), up 2.6% from263,000 in 2016. *East North Central region includes Illinois, Indiana, Ohio, Michigan, and Wisconsin. 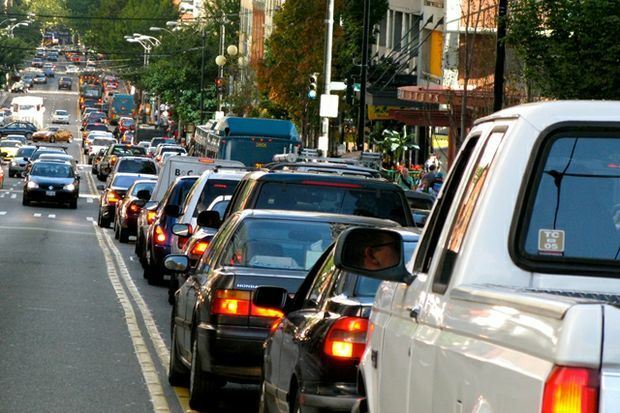 While AAA expects most U.S. drivers will pay the highest Memorial Day gas prices since 2015,the vast majority of holiday travelers (88.1 percent) are still planning to hit the road. Automobile travel will grow by 2.4 percent across America this Memorial Day, with 34.6 million people planning a holiday road trip. The national average price for a gallon of gas today is $2.34, 12 cents more than last year. More Americans are planning to rent cars for their holiday road trips this year. According to Hertz, the busiest day for car rental pick-ups is expected to be Friday, May 26, based on last year’s data. While road trips continue to reign supreme for Memorial Day, more Americans will fly, ride the train or bus, or take a cruise vacation compared to last year. Air travel is expected to increase nationally by 5.5 percent over last year, with 2.9 million across America taking to the skies this Memorial Day. Travel by other modes of transportation, including cruises, trains and buses, will increase 2.9 percent, to 1.75 million travelers. AAA expects to rescue more than 330,000 motorists across the country this Memorial Day weekend, with the primary reasons being lockouts, flat tires and battery-related issues. AAA recommends motorists have their vehicles inspected by a trusted repair shop, such as one of the more than 7,000 AAA Approved Auto Repair facilities across North America. Members can download the AAA Mobile app, visit AAA.com or call 1-800-AAA-HELP to request roadside assistance. Before setting out for Memorial Day, download the free AAA Mobile app for iPhone, iPad and Android. Travelers can use the app to map a route, find lowest gas prices, access exclusive member discounts, make travel arrangements, request AAA roadside assistance, find AAA Approved Auto Repair facilities and more. Learn more at AAA.com/mobile. With the AAA Mobile app, travelers can also find nearly 59,000 AAA Approved and Diamond Rated hotels and restaurants. AAA’s is the only rating system that uses full-time, professionally trained evaluators to inspect each property on an annual basis. Every AAA Approved establishment offers the assurance of acceptable cleanliness, comfort and hospitality, and ratings of One to Five Diamonds help travelers find the right match for amenities and services. AAA’s projections are based on economic forecasting and research by IHS Markit. The London-based business information provider teamed with AAA in 2009 to jointly analyze travel trends during major holidays. AAA has been reporting on holiday travel trends for more than two decades. The complete AAA/IHS Markit 2017 Memorial Day holiday travel forecast is available here. AAA East Central is a not-for-profit organization with 81 local offices in Pennsylvania, Ohio, West Virginia, Kentucky and New York, servicing 2.7 million members. Facebook Complete your pledge today at AAA.com/DontDriveDistracted! Copyright © 2019 AAA East Central. All Rights Reserved. Find a different AAA club. Find a different AAA club. AAA East Central is a member club affiliated with the American Automobile Association (AAA) national federation and serves members in Kentucky, New York, Ohio, Pennsylvania and West Virginia.